Groundbreaking: the Ruffins with the LGA team. 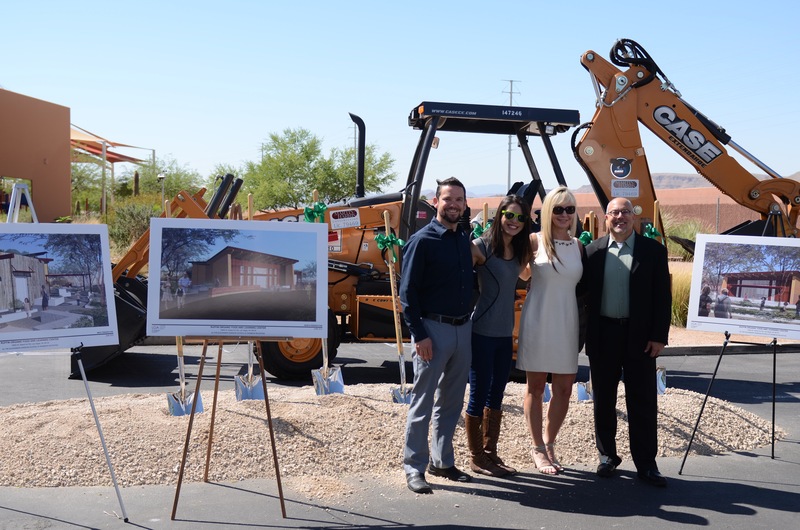 LAS VEGAS – Las Vegas-based architecture firm LGA, in conjunction with the Alexander Dawson School at Rainbow Mountain, an independent day school in Summerlin, is making it possible for grade school children to learn about environmental awareness, sustainability and healthy eating through the new Ruffin Organic Food and Learning Center. Expected to open in January, the center was designed by LGA and will help children become better citizens and stewards of the planet. Project leads are also striving to achieve a LEED Platinum rating and Living Building Certifications as well as reach net-zero energy performance. The project is the brainchild of donors Phil and Oleksandra Ruffin, whose passion for good nutrition and healthy living spearheaded the initiative. Pictured with the project renderings, Craig Galati, principal of LGA, speaks at the groundbreaking. 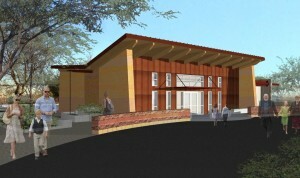 The Ruffin Organic Food and Learning Center is designed to be a hands-on experience for young people. To ensure age appropriateness, students helped contribute ideas to the project from the very start by weighing in and giving feedback. With design and sustainability elements suggested by 8th graders at Alexander Dawson, all building systems are monitored and run by the kids to encourage them to look directly at measurement and capacity when thinking about the impact their actions and choices have on the environment. Dawson students will grow and harvest their own fruits and vegetables in on-site gardens and orchards. These edibles will end up in the dining hall as selection options – a true farm to fork concept. The project will be a catalyst to expand Dawson curriculum, allowing students to learn about organic eating, nutrition and wellness. Projects like the Ruffin Organic Food and Learning Center teach an alternative way of viewing the world. As the world has become more complex and environmental resources become more limited, an entrepreneurial way of thinking becomes more valuable. Although this type of teaching is prevalent in business schools and higher education, encouraging these ideas starting at the elementary school level establishes a foundational expectation that will extend into the future. Through this project, children become aware that they’re responsible for their own environment and can then help find solutions for problems they didn’t previously know existed. In this way, they become missionaries who carry the message back to their families and their community. The Living Building Challenge is regarded as the most stringent green building certification in the world. Certification is based on proven results in seven performance areas. Buildings must be in operation for 12 consecutive months before evaluation. To date only eight Certified Living Buildings exist in the world. Established in 1986, LGA is a cross-disciplinary, client-centered consulting firm that brings together the disciplines of architecture, sociology and sustainability using a collaborative, participatory and community-based process. Best known for its work on the LEED-certified Springs Preserve master plan and one of only a handful of Platinum LEED-certified buildings in the world, the Desert Living Center at the Springs Preserve, LGA has been a longtime advocate of green design and green living. 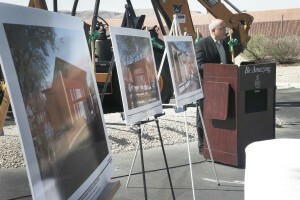 For more information on LGA, call 702-263-7111 or visit www.lgainc.com.